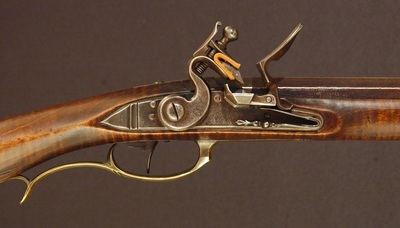 After building a few highly embellished close copies of original arms, it is refreshing to put the books away and build a simple rifle. 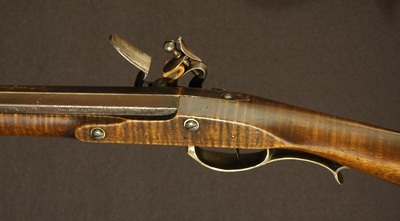 This is my interpretation of a good solid plain rifle in the Lehigh Valley style. Architecturally the piece reflects the lines of Herman Rupp, but with slightly more robust sections through the wrist and buttstock reminiscent of earlier works by Peter Neihart. 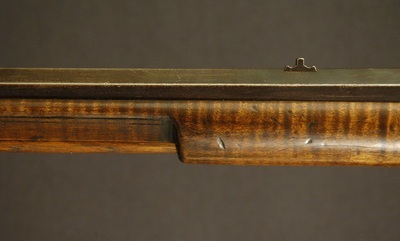 Sometimes referred to as a "Schimmel" or Barn rifle, these simple pieces may have been quite common, and were used every day as tools. I have several late 18th and early 19th century tools that I frequently use while building a flintlock rifle, including hand vises, wooden planes, a draw knife, and some very large chisels. 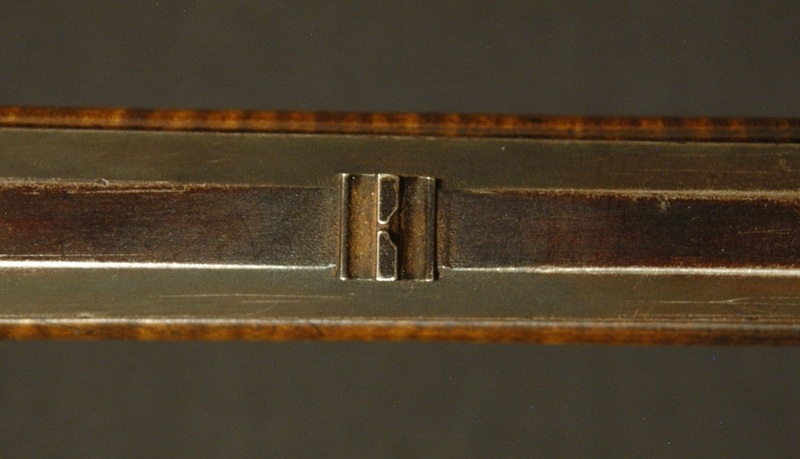 Every antique tool has dings, scratches, rust blemishes, and cracks that distinguish it from other tools in the chest. 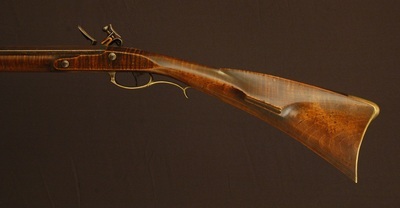 With that in mind, I built and finished this rifle with the intention of creating the same warm character and patina found on my favorite antique tools. 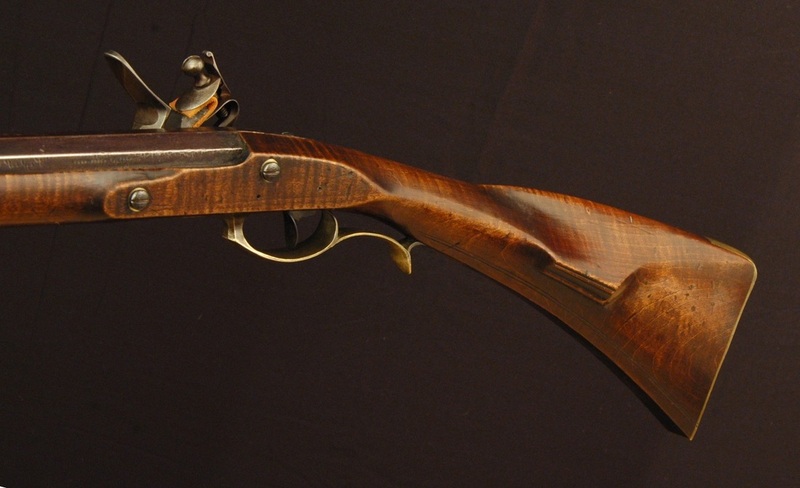 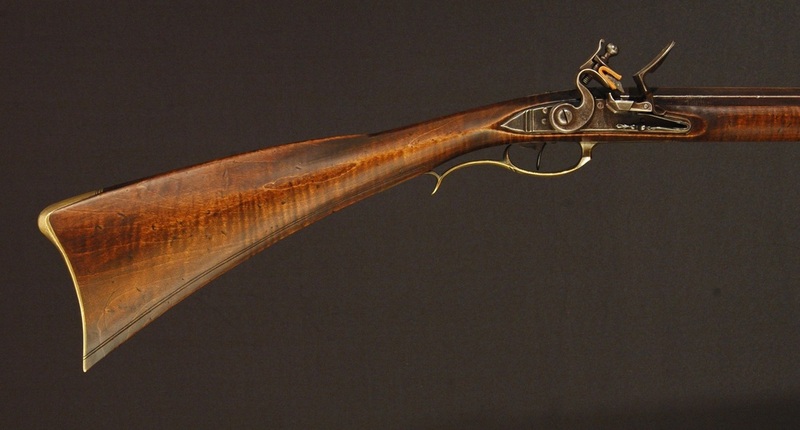 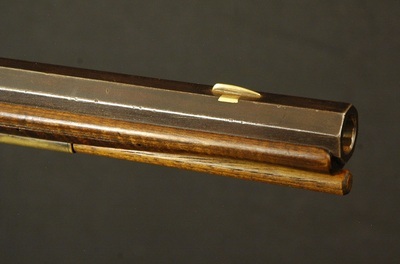 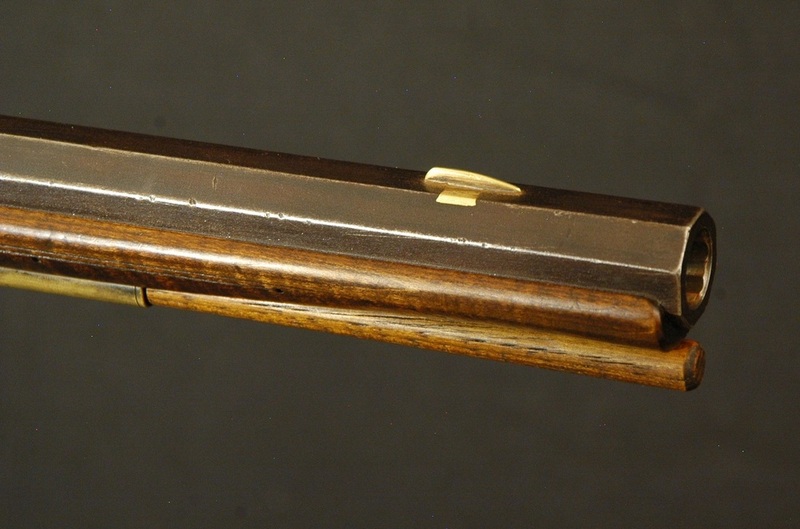 This rifle was stocked in a dense piece of red maple, with a 42" .50 caliber tapered and flared barrel. 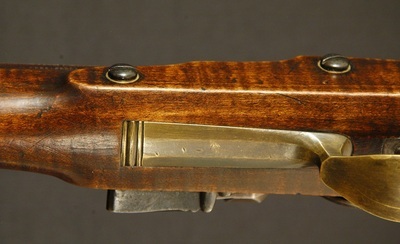 A buttpiece and guard are the only pieces of furniture, with two sheet brass ramrod pipes forward. After staining with aquafortis, the stock was distressed to reflect wear and tear of actual use, but not abuse. 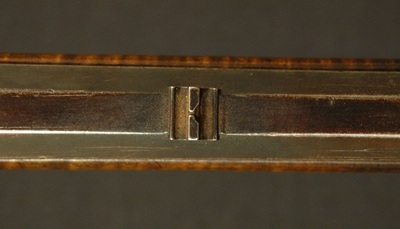 The metal parts were similarly allowed to develop a heavy patina outdoors, rubbed back, then aged further, complete with vise marks on the breech and elsewhere. 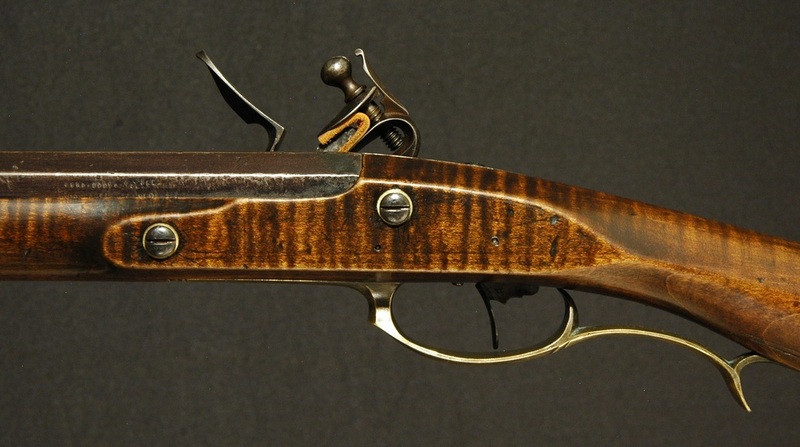 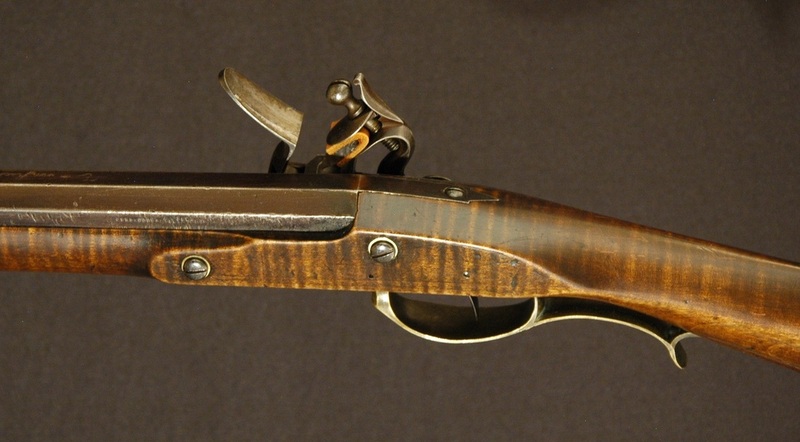 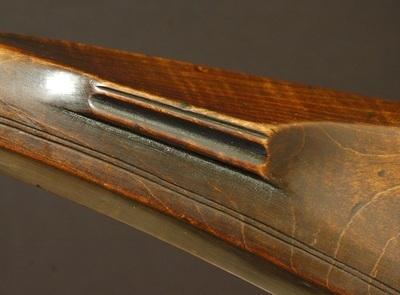 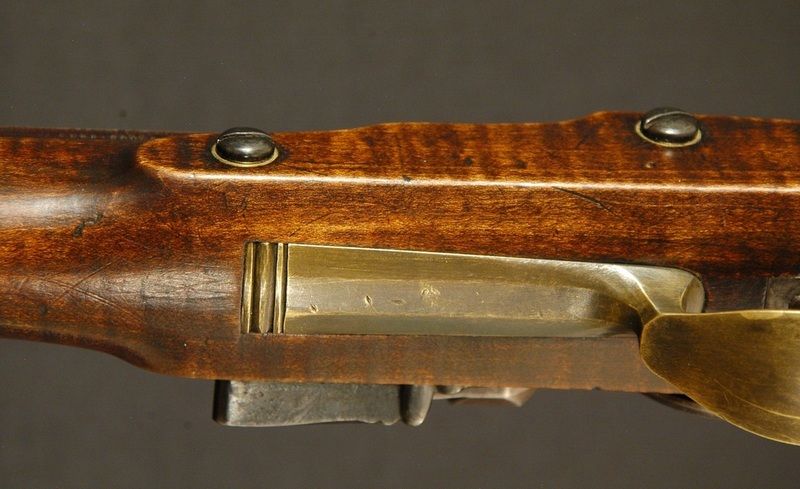 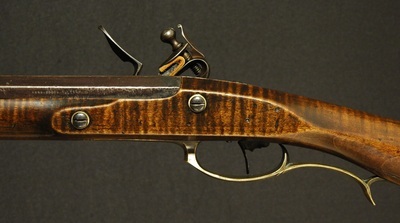 I view a piece like this as a continued work in progress, and that the rifle will develop character and patina with genuine use and wear - as no doubt it will receive with its owner in British Columbia.